Somes castles can be visited while others are still occupied by their tenants. Other castles can only be admired from far away. All together they provide an interesting perspective of the cultural, artistic and architectural heritage of the region. 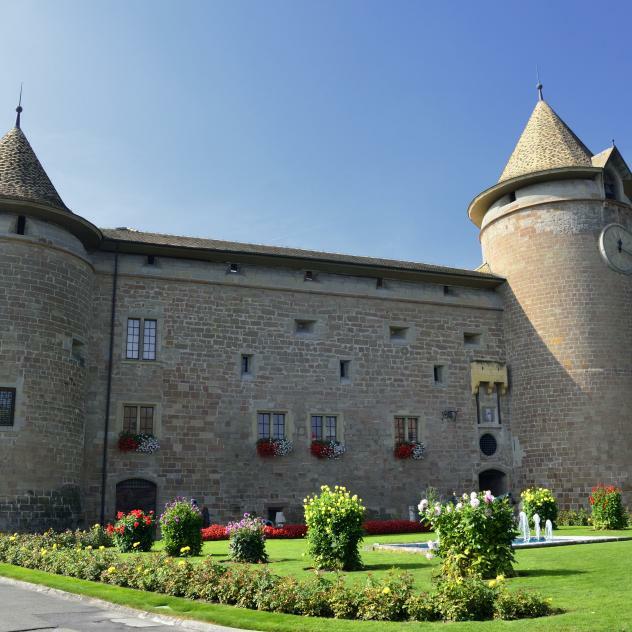 Just to mention a few, the castle in l'Isle, dating back of the 17th century, is also named "Le petit Versailles vaudois"; the Morges castle is the eldest building in the city with a magnificent architecture. Also known as the “Petit Versaille de l’Isle”, this magnificent château was built in 1696 by Charles de Chandieu, a Lieutenant General in the Swiss Guard. It was the first regional monument of classical architecture. Vufflens Castle is the most celebrated in the region of Morges. A thirty- minute walk in the vineyards offers a stunning view of the castle. Come and taste some wine from the large choice of wines in a chateau full of history. It offers somewhat original settings for your events. Aubonne Castle a Swiss heritage site of national significance.